We love setting things on fire! Some of the most dramatic moments in films are sometimes created during a fire scene. Fire may be a main scene in a film or a small effect, but it will always look good and pimp up your film. Fire is though difficult to film and the director may get only one chance to film the scene. Usually fire is used with a range of other special effects. F.ex. an explosion with fire afterwards and then rain or snow. Or setting a car on fire with a man in it… the list goes on. 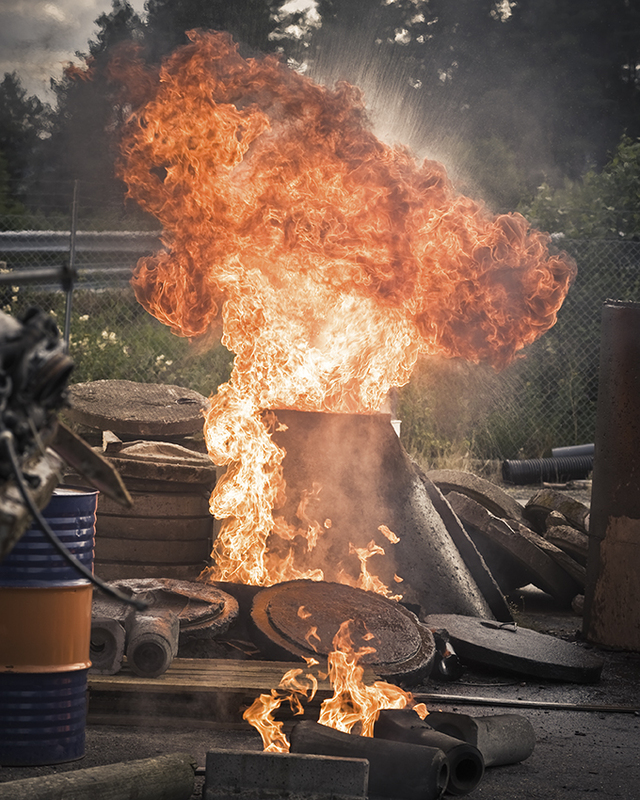 We’re extremely experienced in providing real fire special effects, and we can guide you on how to achieve the intensity you need with safety and creative freedom. Candles that don’t burn down.